Mike Jones, Manager, Product and Sales at ARRI, gives a glimpse into his start in the industry, current lighting trends and how much the industry has changed since he started his career. PH: Where did you get your start in the lighting business? Mike Jones: I owned a lighting company called First Unit in the Bay area years ago. I hired somebody else to run the business and worked as a gaffer and electrician. When we first started the company, we put together a truck, and I’d go out and work the job during the day, come back to the shop at night, load up for the next day, sleep on my office floor for a couple hours, and go back to work. PH: How did your relationship with ARRI begin? Mike Jones: In the early 90’s ARRI was exhibiting at LDI. It was just John Gresch and Charlie Davidson, ARRI’s VP of Lighting at the time so they asked me to help out at the show. Since it was just a four-hour drive, I agreed. The next year when they did NAB, Charlie asked, “Want to come and hang out with us again?” I did shows for them and they gave me new products to test and evaluate — that’s kind of how the relationship started. I became full-time in July 2005. My philosophy is that the gaffers and directors of photography are the end users, that is who we should design the equipment for. They are the ones who dictate to the studios and rental houses what to buy. I went after the gaffers and it helped build my relationships with the rental companies and studios. It’s a wonderful business in the respect that I can say that all of my clients are also my friends. If you go with the philosophy of, being honest with them, doing what you can for them — it will always come back to you tenfold. PH: Is lighting on set different now compared to 20 years ago? Mike Jones: There are so many tools now. When I started, we lit everything with Arcs and 9 lights. It wasn’t as refined. You couldn’t get the looks that you can now. With the advent of HMIs, which I was very fortunate to be in the early part of — all of a sudden you didn’t have to trim carbons on arc lights; you could turn on an HMI and just let it run all day without interruption. Technological advances have made it easier to get the looks you desire. One time I had a gaffer tell me that lighting for film was like Rembrandt painting a picture. It allows the artist to be an artist. With LEDs and all of the tools that you have nowadays, it doesn’t allow you to get complacent. I’m an analog guy living in a digital world, I have to re-learn everything and it’s fun. It forces you to learn new technologies and new ways of doing things. PH: Have safety issues improved over the years? 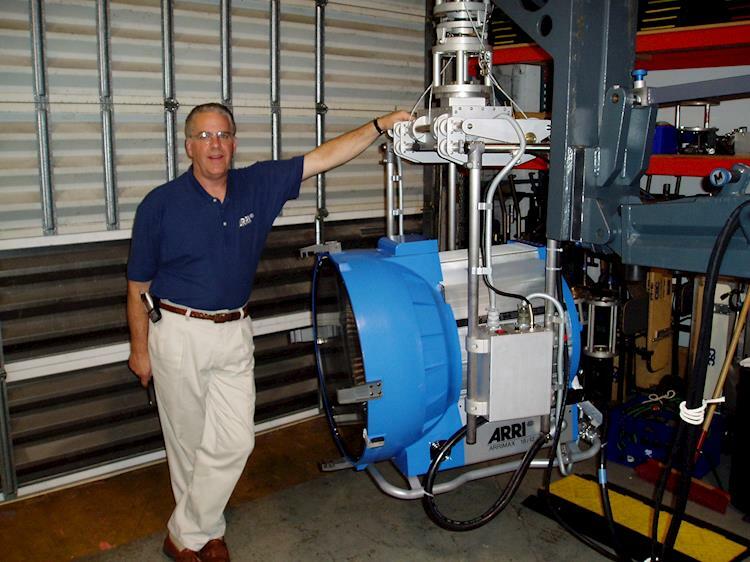 Mike Jones: We would go into circuit breaker boxes, panel boxes and put giant clip-ons to get electricity. We could have gotten killed. The rules on sets now are much more stringent. The first HMIs had open igniters which were just open contacts. If you fired the lamp with your hand on it, you could get electrocuted. Things like that are not allowed anymore. 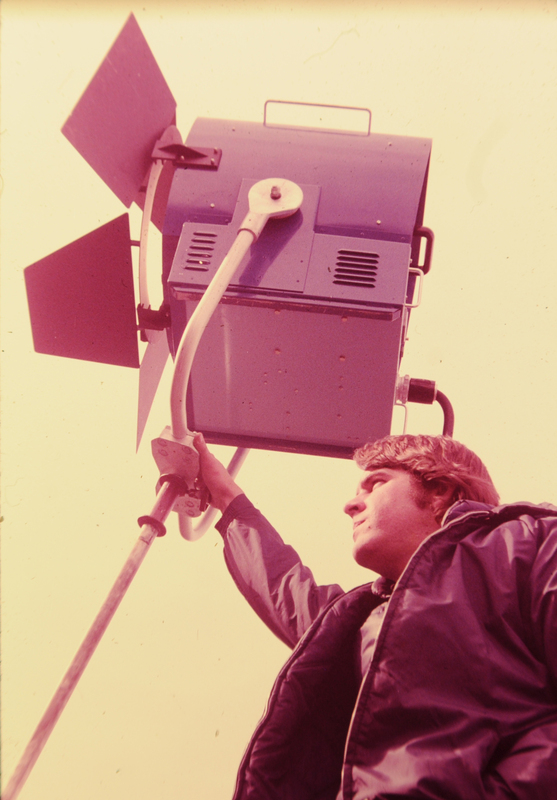 Electrically, ARRI was one of the first companies to use strictly sealed igniters so that accidents did not happen. PH: When did the transition between analog and digital lighting happen? Mike Jones: It’s happening now. The big push was in “rock’n’roll” lighting: live event, moving lights. It’s been utilized for quite some time. In TV and film, it’s been the last six to seven years, where we could control it, adjust color temperature and give people tools that matched. LEDs are out there since 1962, but now they’re just getting bigger, better, brighter, cheaper, and we’re able to do more things programming-wise. ARRI Lighting has always been used in a variety of applications such as still photography and TV studios. With the LED revolution, ARRI SkyPanel and L Series have been used in even more applications than ever before. We have clients from theatre, worship, live events and even archival lighting applications. 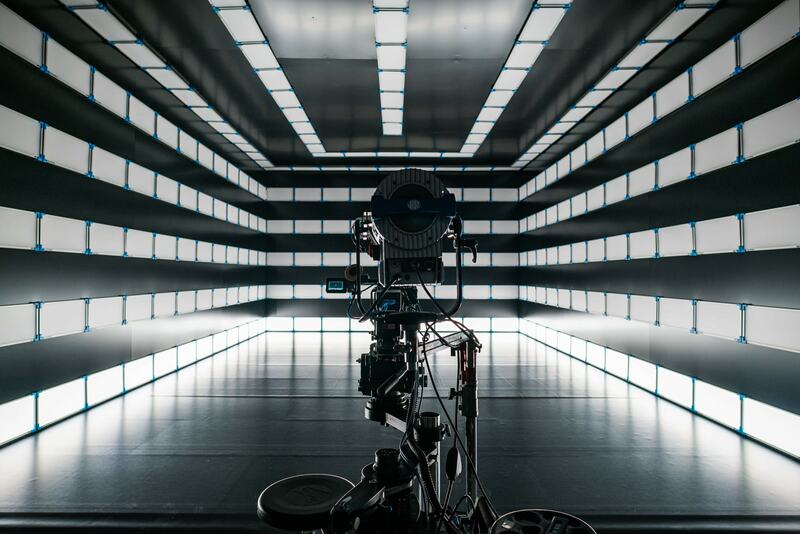 Our headquarters in Germany has provided system services that specialize in lighting setup design and installation for years, while ARRI Americas just launched it a few years ago. ARRI’s US System group has been growing over the last three years. Now, we are at the right place to serve all of our clients. PH: What current lighting trend makes no sense to you? Mike Jones: I am a fan of natural light. I am a fan of things looking the way that they’re supposed to look, not artsy-craftsy. I don’t like big flares, I don’t like anything that takes your eye away from what you should be looking at. Probably one of my favorite movies, as far as lighting is concerned, Crouching Tiger, Hidden Dragon. That movie was beautifully lit in a very natural way. When you paint the picture, there shouldn’t be anything that really takes you away from the picture. PH: What will be the next big thing in lighting for film? Mike Jones: Refinement of what is out there. It’s going to get brighter. I foresee more and better things. I see cameras and lights interacting digitally. I think that’s the next big push. There are already companies starting to do that to light gear. At ARRI, we are experimenting with so many things. It’s unimaginable for me where it’ll be in five to 10 years. PH: What would you recommend to those just getting started in the lighting business? Mike Jones: Learn and read. I see so many young people wanting to learn, asking questions and really soaking up the knowledge. Back in the day, probably the best way to start in the business was to go to work for a rental company. One of the first things I used to do with my company when I hired somebody new was hand them a pencil, pad of paper and a lighting catalog, and say, “Go take inventory.” The reason for doing that is you could see what it was. As you went out and did more things on shoots, you saw how it was used and how it worked. You have to know what the equipment is and how to use it or you’re going to get left behind. Visit ARRI for more information on lighting products.